Tell me, and be honest: do you ever wonder about the etymology of words? Do you ever grow curious about our day-to-day language? (‘How do you do, Mr. Stupples?’) Do you ever ask yourself whether the words you speak, whisper and – sometimes – shout originate from 2,000 year-old societies, or have today’s quick-witted teenagers just made them up instead? If language for you is simply a means of communication, as it probably is for most practical-minded people, you might want to stop reading right here. 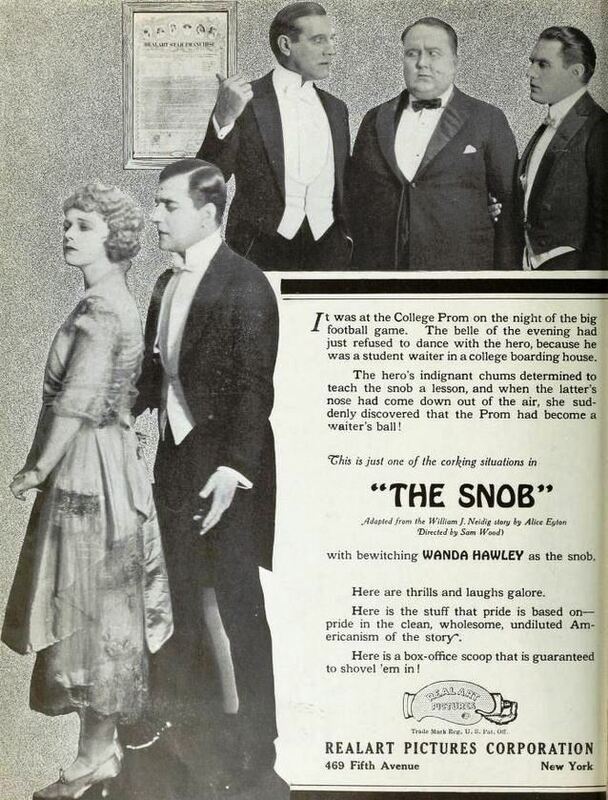 If you like words, though, and take pleasure from their nuances, read on about what I consider to be on the English language’s most interesting words: Snob. Interestingly, this image demonstrates how the word also became commonplace across amongst the American population. The word ‘snobbery’ came into use for the first time in England during the 1820s. It was sad to have derived from the habit of many Oxford and Cambridge colleagues of writing sine nobilate (without nobility) or ‘s.nob.’ next to the name of ordinary students on examination lists in order to distinguish them for their aristocratic peers. In the word’s earliest days, a snob was taken to mean someone without high status, but it quickly assumed its modern and almost diametrically opposed meaning: someone offended by a lack of high status in others. It was also clear that those who used the word were doing so pejoratively, to describe a process of discrimination they found regrettable and worthy of mockery. In his Book of Snobs (1848), a pioneering essay on the subject, William Thackeray observed that snobs had, over the previous twenty-five years, ‘spread over England like the railroads. They are known and recognised throughout an Empire on which the sun never sets.’ But, in truth, what was new was not snobbery, but a spirit of equality beside which a traditional kind of discriminatory conduct no seemed increasingly unacceptable, to men like Thackeray at least. De Botton, Alain. Status Anxiety. London: Penguin Books, 2004. 21-22. Print.